Spring snows don’t last long. The sun has a better angle for its rays—and more hours in the day—to use against the accumulated white. The air temperatures are higher. And the ground is no longer frozen but is itself a heat source, a broad expanse of thermal mass slushing the snow steadily from below. Blizzard conditions on Sunday, May 11, blanketed the area with another dose of wet and heavy snow. Even though I knew it wouldn’t linger, I spent a couple of hours on Monday lugging sloppy scoops from the hard surfaces of walkways and decks and patios, tossing the snow onto flowerbeds, the raised beds in the garden, the grasses and groundcovers and herbs near the house. This is more or less the same principle as a downspout rain barrel, only a lot more labor intensive. The week before the Mother’s Day snowstorm, I was in Charleston, South Carolina, to attend an indexing conference. I stayed on afterward for a few days with my Mom, who flew down from New York to join me. While spring goes through its stuttering dance here—from 70˚ on May 5, our daytime high dropped to 26˚ on May 12—in Charleston, spring was all but finished: the azaleas had already flared and faded weeks ago, and Mom and I donned sunscreen and sought shade as temperatures hit the mid-90s. The heat was abrupt to both of us, still recovering from our respective long winters. We toured historical sites, but spent much of our time exploring the area: strolling in gardens, hiking a winding boardwalk trail through a swamp, visiting a riverside park. On a boat tour around a former rice field cleared and worked by slave labor, we spotted alligators and watched great blue herons while a pair of osprey eyed us from above. 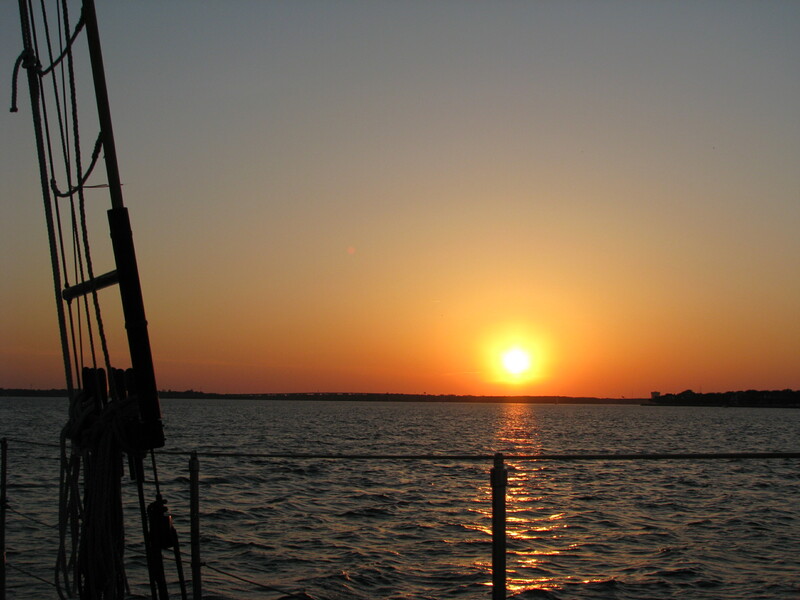 We took a sunset sail on Charleston Harbor. On most of our walks and while driving from place to place, the views were closed in by a thick growth of trees and vines. Every long vista I saw had a river or a swamp or the ocean as its base. Water everywhere. 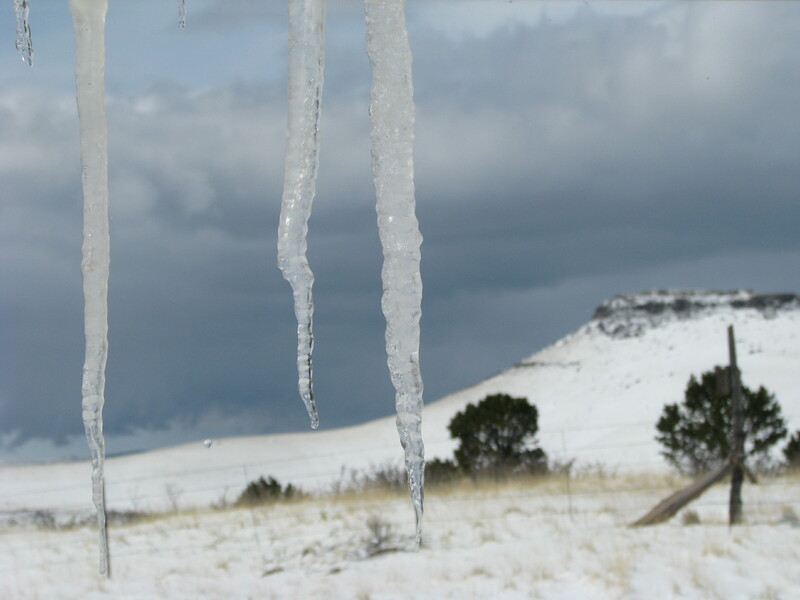 And now, back home in my high-altitude office, I look out at the snow-clad landscape while icicles drip from the eaves. Water everywhere, for now. The snow, as I said, will not last long. It was already shape-shifting as it landed, flakes going liquid, uniting with dust to synthesize mud, evaporating on the wind. Meltwater from the accumulated drifts will vanish downhill, will percolate into the porous and thirsty ground, trickle into the tunnels of pocket gophers and voles and moles and ground squirrels, filter between the fine crumbs of decomposed granite. From its secret pores and fractures the water will morph again, absorbed by the eager roots of fescue and piñon and ponderosa pines—and by the alpine strawberries, the cherry tree, the asparagus, and the rhubarb, all pressed by the extra weight of the snow I shoveled onto them. 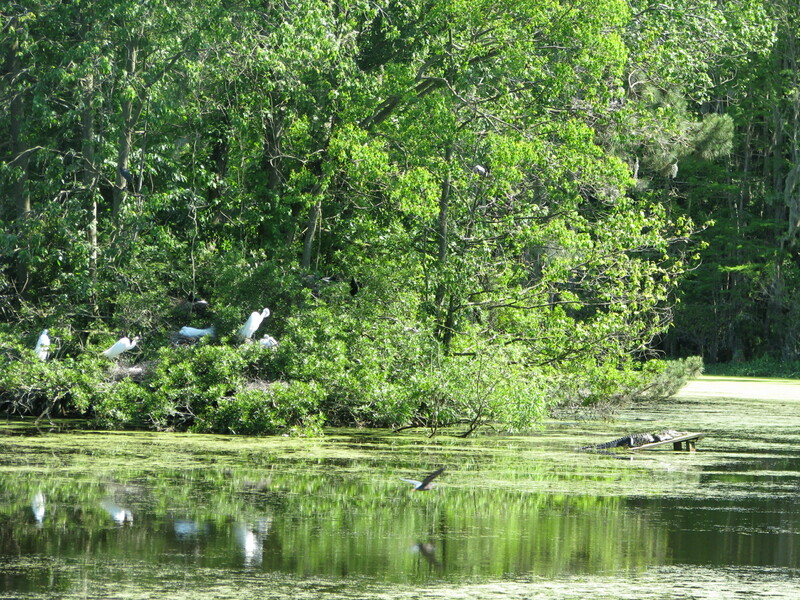 Audubon Swamp at Magnolia Plantation and Gardens. On my sojourn in the South, it was easy to see the greenery around me—the walls of trees, the expanses of reeds and duckweed, the eruptive plumes of palm fronds—as proxies for the fundamental wateriness of that place. I don’t see the plants of home this way, as expressions of water. Yet I regularly mark their responses to precipitation, and I elect to shovel water as a way of directing a scarce resource so the plants can take advantage of it. This entry was posted in gardening, snow, spring and tagged Charleston, SC. Bookmark the permalink.